According to the American Cancer Society, over half a million people died from cancer last year. Cancer is so common these days that you have likely been affected by it somehow. According to the online Wikipedia, free radicals are believed to cause cancer as a result of reactions with DNA where the resulting mutations can adversely affect the cell cycle and potentially lead to malignancy. The online Wikipedia also notes that some of the symptoms of aging such as arteriosclerosis are attributed to free-radical induced oxidation of many of the chemicals of the body. With free-radicals all around, we need antioxidants to protect ourselves from the damage those free-radicals cause. Free-radicals are atoms or molecules that are not stable due to a lack of an electron in the outer shell. These unstable free radicals attack other stable atoms that make up the cells of our bodies causing this new atom to become a free radical and causing a chain reaction of electron stealing. This process is called oxidation, and that is why antioxidants are named that way. Stop the age accelerating oxidizing reactions caused by free-radicals with one of these super Antioxidant blends! Antioxidants are molecules such as certain vitamins that are stable with an excess electron such that when the free-radical steals an electron, the antioxidant is still stable. Due to the fact that free-radicals are believed to cause a more rapid aging of the cells, it is believed also that antioxidants can slow the aging process. As an anti-aging supplement, it is not likely that antioxidants will reverse any damage that has already been done to bring back your youth. However, since free radical damage increases with age, the older you are the more you may need to supplement your diet. There are many fruits and vegetables that contain high amounts of antioxidants, and many vitamins and minerals are antioxidants such as vitamin A, vitamin C, vitamin E, Selenium, Alpha lipoic acid, Co Enzyme Q-10 and others. 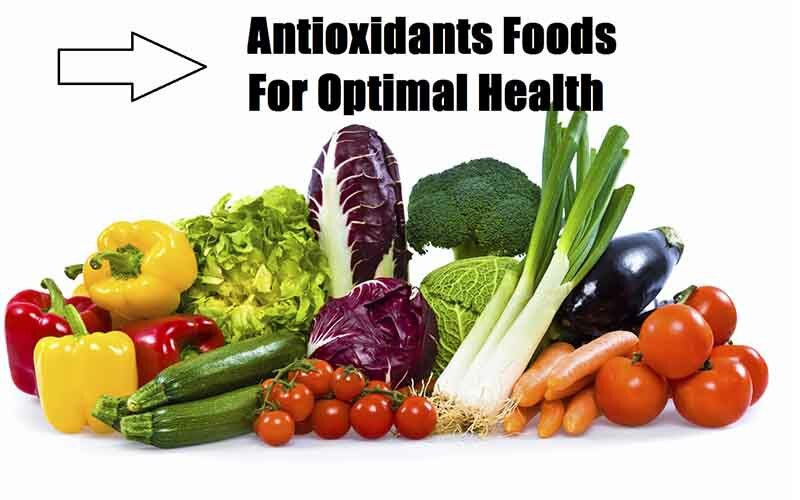 Typically the best way to get your antioxidants would be to eat a diet that is rich with them. For instance blueberries, pomegranates, and Mangosteen are 3 of the most potent antioxidant fruits you can eat. There is some controversy over whether antioxidant supplements are really helpful, however, research shows that people eating diets high in antioxidants have less incidence of cancer. Taking this into consideration, I recommend taking an antioxidant supplement made from foods high in antioxidants that give you the benefits of having eaten those foods. If you are looking for anti-aging supplements that can actually decrease wrinkles and fine lines, then check out the Arthritis Relief page since the active ingredient, Hyaluronic Acid, is actually known to give real anti-aging results.